Need a rabbit bodyguard? 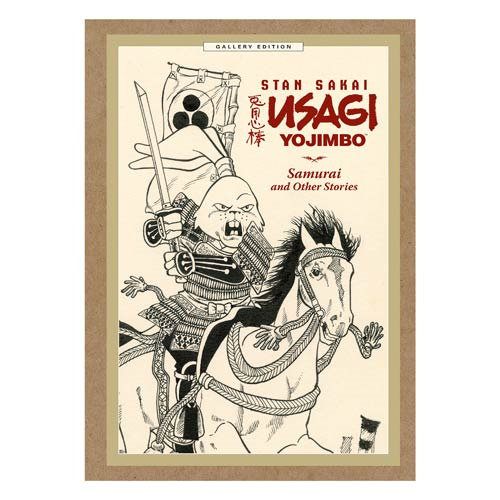 Hailed as one of the true masterpieces of the comics medium, Usagi Yojimbo gets its first gallery edition, reproducing Stan Sakai's breathtaking artwork at full size and in living color. This edition includes the art from the very first Usagi story, the complete origin tale "Samurai," and more! The Gallery Edition Hardcover Book includes extra, never-before-seen art and an introduction by Sakai! This is the ultimate edition for Usagi Yojimbo fans! The book is 240 pages and measures 17-inches tall x 12-inches wide. Ages 14 and up.